Will the REAL Canaan Dog please stand up? 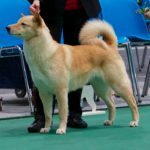 People who are not over familiar with the Canaan Dog can often mistake another breed or cross-breed for one. We have therefore devised this little quiz to test YOUR knowledge! 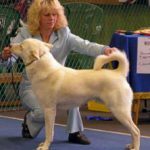 Which of the following dogs are really Canaan Dogs? Click on the photo to see if you were right! HINT: There are 8 Canaan Dogs to be found! 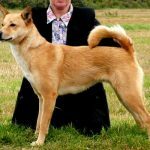 … [Read more...] about Will the REAL Canaan Dog please stand up? Kennel Club unveils a pilot scheme for the registration of dogs with unverified parentage. The kennel club has launched a pilot scheme which could enhance genetic diversity. The scheme will mean purebred unregistered dogs can be registered on the Breed Register but only on a case by case basis. Under the new scheme any new dog admitted to the register will have three asterisks next to its name to identify the fact that there is unknown or unregistered ancestry … [Read more...] about Kennel Club unveils a pilot scheme for the registration of dogs with unverified parentage.